Following Monday’s UTT article “Is CNN Guilty of Material Support of Terrorism?” there was an overwhelming positive response from UTT followers who noted the many other incidents of mainstream media defending terrorists, specifically Hamas doing business as the Council on American Islamic Relations (CAIR). 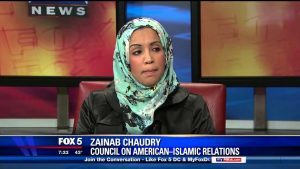 So, for today’s UTT Throwback Thursday we will look at Hamas’ primary U.S. front organization – CAIR – and how the U.S. media continues to defend them despite the undeniable evidence they are a terrorist organization, and how the media lifts up other Muslim leaders who turn out to be terrorists. 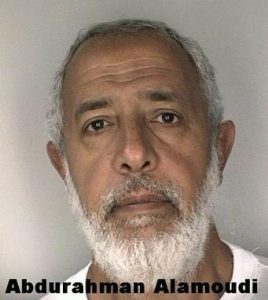 In the largest terrorism financing and Hamas trial ever successfully prosecuted in American history (US v Holy Land Foundation for Relief and Development – HLF – Dallas, 2008) the U.S. Department of Justice identified the Council on American Islamic Relations (CAIR) and Founder/Chairman Emeritus Omar Ahmad as being a part of the U.S. Muslim Brotherhood’s Palestine Committee, which is Hamas. The other two founders are Rafeeq Jaber and Nihad Awad. 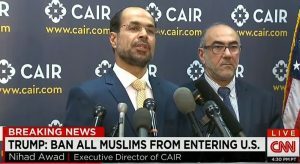 Awad is the current leader of CAIR and, in the professional opinion of UTT, the General Masul (leader) of the U.S. Muslim Brotherhood. Hamas is a designated Foreign Terrorist Organization in the United States. Please review UTT’s CAIR is Hamas document detailing a portion of the evidence demonstrating CAIR is a terrorist organization (Hamas). So how does the media describe CAIR? ABC actually dropped a new show, “Alice in Arabia” before they ever began shooting because Hamas (dba CAIR) complained. In an article on February 14, 2017, PR Newswire describes CAIR as “the nation’s largest Muslim civil rights and advocacy organization” and notes the news was provided by CAIR. Local media across the nation identifies CAIR as “a Muslim advocacy group,” “America’s largest Muslim civil liberties organization” or something similar here, here, here, here and here. 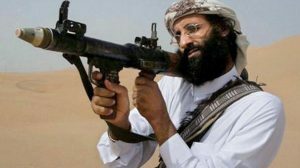 Remember that media outlets like the Washington Post, NPR, and others called Al Qaeda financier Abdurahman Alamoudi the “pillar of the Muslim community” in Washington, D.C. and Al Qaeda leader Anwar Awlaki the “new face” of moderate Islam before the United States killed him in a drone strike. The media is batting 0/1000 when it comes to identifying friendly Muslim leaders and groups. The facts are already in evidence detailing the ties to the Muslim Brotherhood/Hamas to groups like CAIR, ISNA, MAS, MSA, IIIT, ICNA, MPAC, MLFA, Muslim Advocates, and all the others yet the mainstream media never asks the tough questions or does their homework on these issues. The meaning of words change. Pick up a 1948 Webster’s Dictionary and words like ‘fascism’ and ‘squaw’ have radically different meanings than a 2016 edition. But unlike most words’ natural evolution, these two words have a politically contrived dimension which is destructive to our republic. A genuine dictionary definition for ‘journalism’, circa 2017 would have to define it as the smooth, seemingly subliminal mouth piece of radical subversion. These past eight years have taught me how Hitler got his start, in oh, so many ways. A really good primer is “Bonhoeffer: Pastor, Martyr, Prophet, Spy,” by Eric Metaxis, who does an excellent job of unraveling how the mainstream churches of Germany’s early support, indeed wedding itself to Nazism and it’s early ‘successes’ was the beginning of the end. if your church is dysfunctional, your whole society will lose it’s mooring. We are witnessing what such a society looks like now, without Christianity: journalism, banking, educators, pastors, even judges are letting us down as they only know relative morality, not the absolute. Inasmuch as lifetime appointment as a U.S. district court judge only requires: political backing; a law degree; and the theoretical will to behave, though [contextually unfortunate] impeachment is rare, the recent decisions by four (possibly five) said officials in Washington, California and Hawaii which are preventing the President of the United States from exercising his Constitutional responsibility to ensure national security by whatever method and steps he – and he alone- deems appropriate, the Department of Justice, with an eye on expeditious removal of said misfits, should obviate their arrogant outrage on behalf of the American people I.e. those thusly endangered, in order to restore the rule-of-law, as opposed to what appears to be a burgeoning “rule of incompetent-lawyers”. Furthermore, with respect to any subversive alliance on behalf of sharia-adherent criminals, each of UTT’s referenced corporate entities who are thus demonstrably complicit, should familiarize themselves with the content of GOVERNMENT EXHIBIT 003-0085/3:04-CR-240-G. U.S. v. HLF, et al for the purpose of transitioning from their nefarious embrace of the Muslim Brotherhood’s well rehearsed liars to the contextual facts, and the possible consequences of flirting with treason.